The Burroughs bibliography by Maynard & Miles (William S. Burroughs: A Bibliography, 1953-73 by Joe Maynard & Barry Miles, [Charlottesville: University of Virginia Press, 1978], hereinafter referred to as M&M) is subtitled “Unlocking Inspector Lee’s Word Hoard.” And it does just that, gathering the fullness of Burroughs’ printed work from the twenty-year period it covers. As noted in the Preface to the work, Maynard focused on the books and primary publications, while Miles worked on secondary sources. 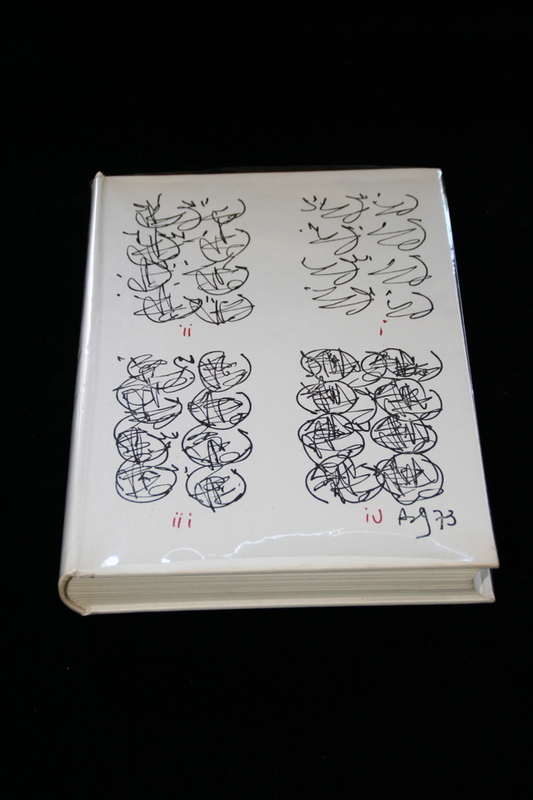 In devoting much of his efforts to the B items (books and anthologies) and C items (magazines, journals, and serials), Miles was informed and assisted by his work in 1972 on cataloging the Burroughs archive prior to its initial sale. He notes that this work in the archive added dozens of titles to his listing of B and C items of which he had no previous knowledge. But not even Burroughs, who still owned the archive at the time, had copies of every title to which he contributed or that published his work. There are the inevitable gaps in M&M, and since no other official bibliography of Burroughs’ works has been produced since, those gaps remain. No doubt some were exposed during the years waiting for actual publication of the bibliography in 1978. Indeed, there is at least one item included in the bibliography that dates from 1974 (M&M D19) and certainly there must have been some chagrin on the part of the authors as omissions were discovered over the years. Such is the lot of the bibliographer. However, in any enterprise of this sort, finding everything is a challenge. The amount of ephemeral titles among the little magazines or underground press that favored Burroughs’ work is staggering enough. Add to it the foreign book titles, often not available outside the country of publication, the un-attributed, un-indexed, or unknown anthologies or books and it adds up to a lot of items. Technological advances of internet commerce and communications have created an environment where this material can now be found sometimes. Book dealers have stock listed online and these can be searched electronically. Online auction sites offer a plethora of titles. But that doesn’t mean the sleuthing is over, that the dusty shelves of side-street bookstores are no longer locations for prime resources. I have been collecting Burroughs for over 25 years, and have been able to document a number of items that were published during the period covered by the M&M bibliography but not included therein. In some cases there is surprise that an item wasn’t noted, in other cases surprise that I was able to uncover it at all. This documentation takes the form of two parts: first is the B items here and, following that, the C items. The B items are Burroughs’ contributions to anthologies and books. They may be reprints of material previously published, or an original work. They are arranged here in order by publication date. All are first printings, and references to “bound in wraps” denote softcover binding whereas “hardbound in dust jacket” is self-explanatory. Some of these are short quotes or “blurbs,” as they are known, about the contents of a book that appear on the front or rear of the title’s cover or dust jacket. M&M did not explicitly include jacket blurbs in the bibliography, but neither did they exclude them as some are listed in the F (miscellaneous) section. Here they are considered a B item, as they are often original quotes related to the monograph in hand. While M&M also placed exhibit catalogs in the F section, they are considered here as B items. In any event, none of the roughly forty items collected here and published before 1974 were included in M&M. In addition, there are a few variant editions of titles noted by M&M. Some items listed here contain previously published material, while others have unique contributions. The goal, as always, is to further the understanding and promote scholarship of Burroughs’ writing from over the years. Special thanks to Michael Stevens for his work in identifying some of the Burroughs blurbs. Written by Eric C. Shoaf and published by RealityStudio on 15 September 2008. Updated with C items on 6 October 2008. Also see the bibliography of A-List publications by William S. Burroughs derived from Shoaf’s Collecting William S. Burroughs in Print: A Checklist. Photo of Miles’ Descriptive Catalogue from the Flickr collection of Bradley Allen.